Lee Woolery | Miami Valley Today file photo Troy Christian’s Jalen Hudgins earned first-team All-Ohio honors in Division III this year. Mike Ullery | Miami Valley Today file photo Lehman’s Grace Monnin earned second-team All-Ohio honors in Division III this year. Josh Brown | Miami Valley Today file photo Tippecanoe’s Isabelle Crow earned second-team All-Ohio honors in Division II this year. It was a banner year for area volleyball, boys soccer and girls soccer teams — and the All-Ohio and all-district postseason awards reflected that, with 15 volleyball and soccer players combining to pick up All-Ohio honors, while dozens of local athletes earned all-district honors. The Ohio High School Volleyball Coaches Association released its list of All-Ohio honorees. Tippecanoe had a pair of players earn All-Ohio honors in Division II. Senior Isabelle Crow earned second-team All-Ohio honors, while sophomore Rachel Wildermuth was named to the third team. In Division III, Versailles senior Elizabeth Ording earned second-team honors. In Division IV, Lehman junior Olivia Lucia and Russia senior Laurissa Poling both earned second-team honors. Russia’s Jenna Cordonnier was named to the third team. Lehman senior Alexis Snipes was named honorable mention. The District 9 All-District teams also were released. Two area players earned District 9 Player of the Year honors: Troy junior Lauren Schmitz in Division I and Tippecanoe’s Crow in Division II. Also, Tippecanoe’s Howard Garcia was named Division II District 9 Coach of the Year. In Division I, Troy’s Schmitz and Alexa Holland, along with Piqua’s Tylah Yeomans were named to the first team, while Troy’s Payton Riley and Brianna Slusher were named to the second team. In Division II, Tippecanoe’s Crow, Wildermuth and Brooke Aselage were named to the first team. Abby Hughes earned second-team honors. In Division III, Versailles’ Ording was joined by teammate Lindsey Warner on the first team. Miami East’s Sophie Jacomet and Milton-Union’s Olivia Brown also were named to the first team. Bethel’s Klaudia Lowery, Covington’s Lili Hamilton, Miami East’s Gabrielle Hawkins and Milton’s Chloe Fogle earned second-team honors. Bethel’s Connor Heck, Covington’s Makenna Gostomsky and Milton-Union’s Alexis Davis and Madison Jones all earned honorable mention. In Division IV, Lehman’s Lucia and Snipes were named to the first team, as were Russia’s Cordonnier and Poling. Lehman’s Lauren McFarland and Russia’s Ashley Scott earned second-team honors. Newton’s Alyssa Rapp earned honorable mention. Troy Christian’s Jalen Hudgins earned first-team All-Ohio honors in Division III, while teammate Jacob Wynne was named to the second team. In Division I, Troy’s Joey Sheehan earned second-team All-Ohio honors. In Division II, Michael Pfister was named to the second team. 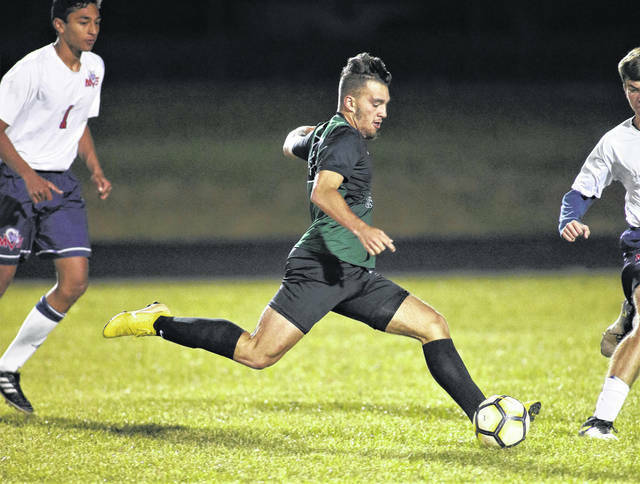 The Miami Valley Soccer Coaches Association also released its all-area teams. In Division I, Troy’s Sheehan and Connor Hubbel were named first-team All-Dayton North. Trojans Reece Sherman and Elijah Williams were named to the second team, while Kasheen Perdue earned honorable mention. In Division II, Tippecanoe’s Pfister and Jake Weimer, along with Milton-Union’s Andrew Besecker, earned first-team honors. Tippecanoe’s Ben Halsey and Dalton McGill were named to the second team, as was Milton-Union’s Avory Creech. Tippecanoe’s Ben Sauls and Andrew Baileys, along with Milton’s Tyler and Austin Ezerski, were named to the third team. In Division III, Troy Christian’s Hudgins, Wynne and Jackson Kremer were named to the first team, as were Bethel’s Nick Schmidt and Rick Landwehr and Bethel’s Aiden Flomerfelt. Troy Christian’s Tristan Miller, Grant Conklin and Connor Peters earned second-team honors, as did Newton’s Cameron Stine and Bethel’s Evan Hart. Earning third-team honors were: Bethel’s Micah Mutlu and Cannon Dakin and Newton’s Cameron Caldwell, Ethan Cook and Dillon Koble. Troy Christian’s Ryan Zemen earned Division III Private School Coach of the Year honors. Lehman’s Conor O’Leary and Elijah Jock were named first-team Western Ohio Soccer League, while Matthew McDonald and William Voisard were named to the second team and Michael Denning and Christian Goettenmoeller earned honorable mention. Troy’s Julianna Williams earned second-team All-Ohio honors in Division I. In Division II, Tippecanoe’s Hannah Rittenhouse earned second-team honors. In Division III, Milton-Union’s Kristen Dickison and Lehman’s Grace Monnin were named to the second team. In Division I, Troy’s Williams and Lily Clouser earned first-team honors, as did Piqua’s Whitney Evans. Troy’s Kiyha Adkins and Ciena Miller, along with Piqua’s Tayler Grunkenmeyer, were named to the second team. Earning third-team honors were Troy’s Megan Malott and Piqua’s Shayna Bragg and Claire Bim-Merle. In Division II, Tippecanoe’s Rittenhouse and Jackie Bashore were named to the first team. Teammates Lauren Robbins and Makayla Stallard earned second-team honors. Hannah Kramer and Payton Willis were named to the third team. In Division III, Lehman’s Monnin, Milton’s Dickison and Bethel’s Darani Wenrick were named to the first team. Lehman’s Grace Olding, Newton’s Michaela Kirk, Milton’s Morgan Grudich and Bethel’s Hannah Marzolf earned second-team honors. Named to the third team were: Bethel’s Machaela Staggs, Natalie Moorman and Caiti Hallum; Milton’s Rachel Thompson, Ellie Cooper, Hallie Berberich and Emily Hornberger; Newton’s Crystal Houk, Kim Laughman and Marissa Deeter and Lehman’s Carly Edwards. Milton’s Andy Grudich was named Division III Coach of the Year, while Lehman’s Jim Marsh was named Division III Assistant Coach of the Year. Lehman’s Monnin, Olding, Ava Behr and Hannah Giguere earned first-team Western Ohio Soccer League honors, while Edwards and Lindsey Magoteaux were named to the second team. Anna Cianciolo and Olivia Monning earned honorable mention. https://www.dailycall.com/wp-content/uploads/sites/30/2018/12/web1_102218lw_tc_jalenhudgins.jpgLee Woolery | Miami Valley Today file photo Troy Christian’s Jalen Hudgins earned first-team All-Ohio honors in Division III this year. 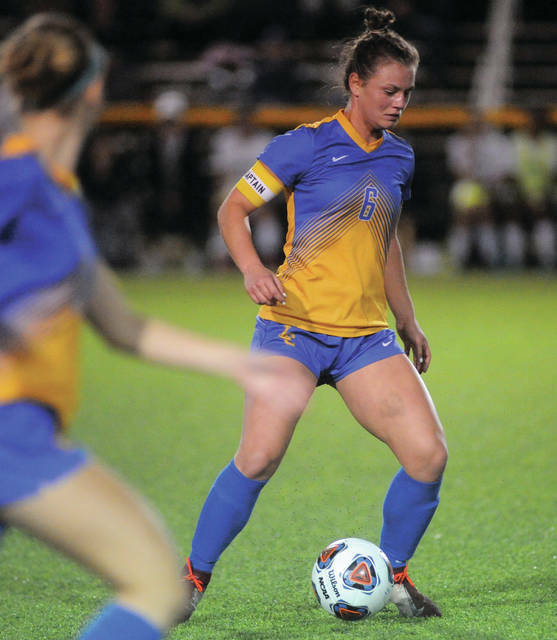 https://www.dailycall.com/wp-content/uploads/sites/30/2018/12/web1_103018mju_sog_lhs_6.jpgMike Ullery | Miami Valley Today file photo Lehman’s Grace Monnin earned second-team All-Ohio honors in Division III this year. 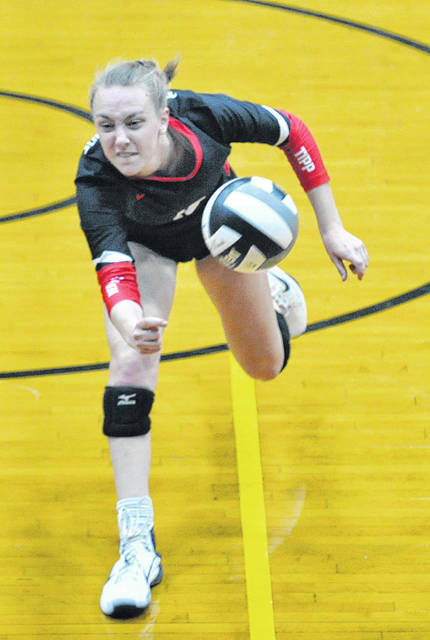 https://www.dailycall.com/wp-content/uploads/sites/30/2018/12/web1_110118jb_tipp_isabellecrow.jpgJosh Brown | Miami Valley Today file photo Tippecanoe’s Isabelle Crow earned second-team All-Ohio honors in Division II this year.